Starting a new business can be exciting and overwhelming all at the same time. Here's a few super helpful tools to keep you on track and get your business off to a great start. In essence a digital to-do list, but so much more. It's flexible, intuitive, organised and collaborative. Trello lets you project manage on the next level. You can create lists and boards for you and your teams, for separate projects or individual to-do lists. It's completely customisable too, letting you set the column headings, create and move cards around to get a quick over view of where tasks are and how projects are progressing. Take a more approach and assign cards to team members, set deadlines, and click into cards for updates and notes of tasks. 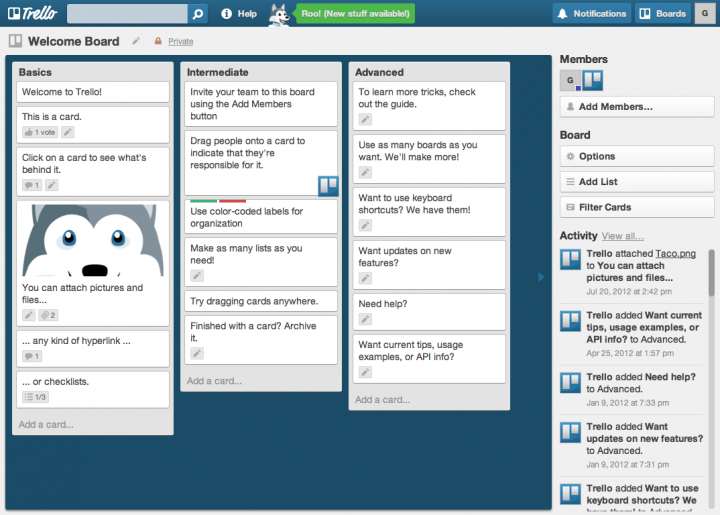 The best bit, it's mobile app is great so your Trello is not restricted to your desktop. Maximise your social media output with Hootsuite. It's a great tool for managing your social feeds and streams, all in one place. Integrating with social networks Twitter, Facebook, Google+, LinkedIn, WordPress, Instagram and YouTube, plus a trove of free and paid for apps including: SurveyMonkey, Flipboard, dropbox, and some of our favourites Slack, Pocket, Mailchimp. Hootsuite is your best friend on social. Schedule posts in advance so you can focus on other aspects of running and growing your new business. Plus, add streams to show your news feeds, and set up keyword searches and mentions streams to help you engage with your followers and increase your reach. Communication is key in all areas of business and when starting up a business it can be overwhelming keeping on-top of everything and keeping everyone in the loop. Slack is an instant messenger service with some key features that you need in your life. Not just allowing for group chat or one-to-one messaging, Slack lets you set-up ‘Channels’ to organise your team conversations by project, team, topic etc. Sharing files and keeping the lines of communication open has never been easier. A comprehensive cloud HR software that eliminates the need for paper files and allows your team and you to access information with ease. 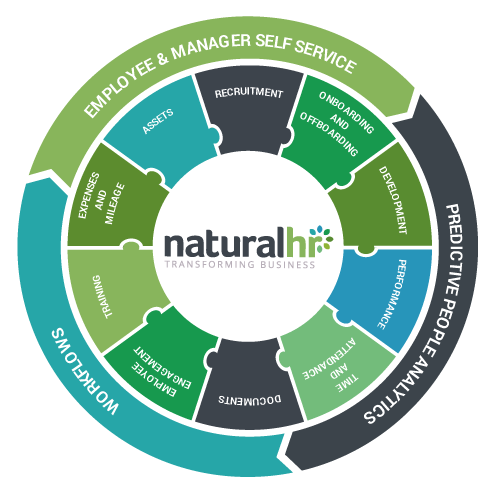 This software has an array of features essential to your HR process. Here's just a few of my favourites: Time and attendance; employees can manage their holidays and you can stay on top of absenteeism rates. Performance management; employee goals, appraisals and development records are easily accessed. Employee engagement; Encourage your team to provide feedback through the portal with surveys and suggestions. Expense Management; Mileage, receipts and all expenses are easily uploaded and tracked saving time and reducing lost paperwork. Creating engaging content for a newsletter while keeping and growing your subscriber list can be a challenge for most. Mailchimp makes this simple with an easy to use platform helping you create awesome emails, newsletters and adverts that'll grow your audience and enhance your brand. You'll be able to create aesthetically pleasing and eye catching emails while it's powerful analytics reports let you asses what's working and what's not.